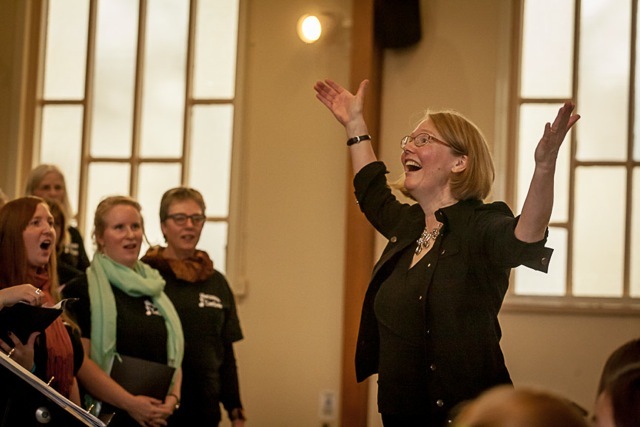 Gerda Blok-Wilson is a composer, conductor and music educator who enjoys the opportunity to work with so many wonderfully imaginative and creative children, adults, professional musicians and actors in the VCS choirs! Presently she also works as Artist in Residence for the St Patrick’s Regional High School Chamber Choir and assists with Concert Choir, grade 8 & 9 Choir. 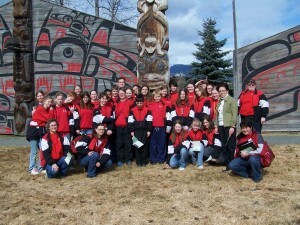 She has also had the opportunity to conduct other Vancouver choirs since moving from Prince George. 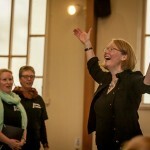 Although Gerda writes musicals, original songs and arranges public domain works for developing choirs, she is also becoming known for her advanced choral repertoire. February(2018), Gerda’s composition “O Little Rose, O Dark Rose” was premiered by Vancouver’s Chor Leoni Men’s Choir. Called “an absolute gem” by the Gesualdo Six from Britain, the song will be performed by them on their Canadian Tour this summer. They will be at St James Church, July 21st, 7:30pm!! She received a Barbara Pentland Award for Outstanding Composition from the Canadian Music Centre, 2018. She has won several other awards for her composition including the Canadian Music Award for the George S. Mathieson Category (BCAPAF), Millennium Song Award Prince George Community Foundation, University of Victoria Don Wright Composition Competition, First Prize. She has 4 mini-musicals for children published by THEMES AND VARIATIONS and some of her developing choir compositions at Sheet Music Plus. Gerda received a Bachelor of Music (UBC), Professional Teaching Certificate (UBC), Kodály Teaching certificate (VAM), Master of Education (U of Calgary)-Kodály music. 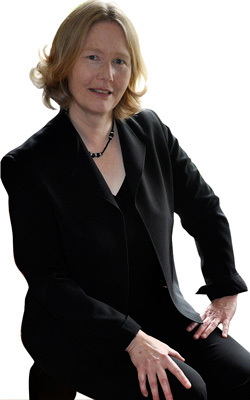 Gerda’s career has included performance tours in England, New York, across Canada, commissioned choral pieces by Raminsh, Telfer and Bosma and performance honours at Carnegie Hall (Missa Brevis by Raminsh), Ottawa (Unisong Festival), Musicfest Canada (Calgary/Vancouver/Ottawa), Performing Arts BC and National Festivals. 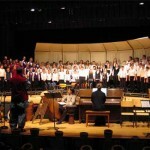 She has conducted the BC Music Educator’s Honour Elementary Choir and her choirs have been demonstration choirs at festivals including Musicfest Canada and BC Performing Arts Festival. 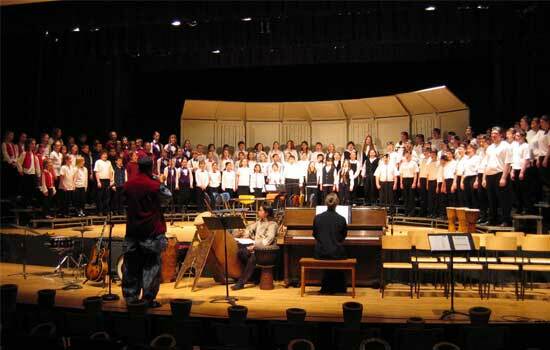 Gerda was conductor for the award-winning Bel Canto Choirs (Prince George), PG Jazz, Cantata Singers, PGSSHigh School choir. She served as Music Resource Teacher for SD#57 and taught summer music education courses at UNBC.